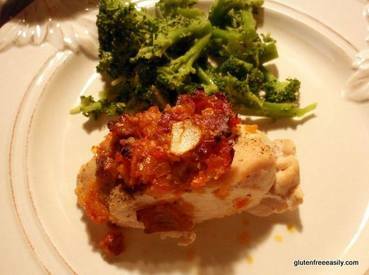 Gluten/ dairy free bacon chicken! Be forewarned … make this dish knowing that unless you have lots of other side dishes, there are unlikely to be leftovers. This Bacon Chicken is just that good!